Home > The Ancient Times News > ​BJP Is Expert In Creating Government With Governors: Congress. ​BJP Is Expert In Creating Government With Governors: Congress. New Delhi :Senior Congress leader Dr. Abhishek Singhvi said the BJP deserves kudos and congratulations for its win in two States. Equally, it deserves condemnation for its clear loss in two of the three other States for how it tried to subvert the peoples’ mandate. 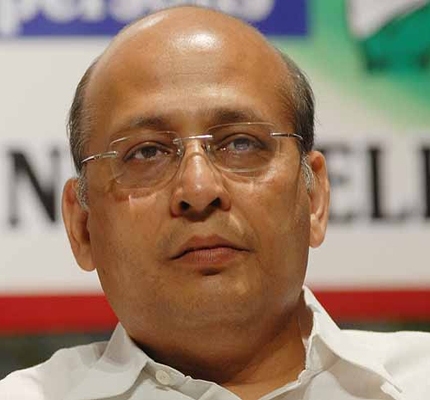 Addressing a press meet in New Delhi, Dr. Singhvi questioned how does the Governor arrive at the Constitutional satisfaction without even telephoning Congress, calling or sitting or consulting the Congress? He added that BJP is now becoming an expert in creating Governments through Governors whereas Government creation is the work of the people who vote. Government creation is neither for the Governor nor for the Party to whom the Governor earlier belongs and still appears to be acting for. Therefore, this is a clear attempt to nullify peoples’ mandate. I want to remind that peoples’ mandate has been held to be an intrinsic part of democracy and democracy has been held to be an intrinsic part of basic structure. The basic structure even the Parliament of India, by a Constitutional Amendment, cannot alter. But BJP is managing it successfully in State after State through Governor and through a complete whole scale violation, complete jettisoning of all constitutional principles. On Goa results, he added that results came in the late evening of 11th March. In 24 hours, the Congress elected its CLP Leader by 7-7.30 pm on 12th March. 24 hours is not a long time for Constitutional Government formation. It is a serious process, we are talking about Constitutional Government formation. Governor has already met Mr. Parrikar around the same time i.e. 7.30 – 9.00 pm and by 11.00 pm a Press Release is issued. otify the same through press release? On Manipur election and formation of BJP government, he said the Congress could approach the court of law on the formation of new government in Manipur.